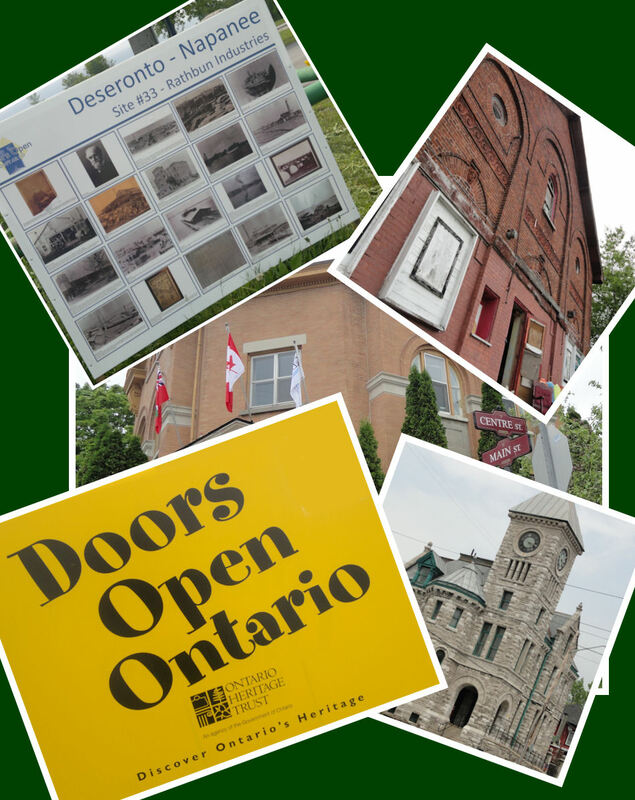 Did you miss the chance to explore Deseronto’s Doors Open sites on May 28, 2011? Or perhaps you weren’t able to visit all of them? Fear not! 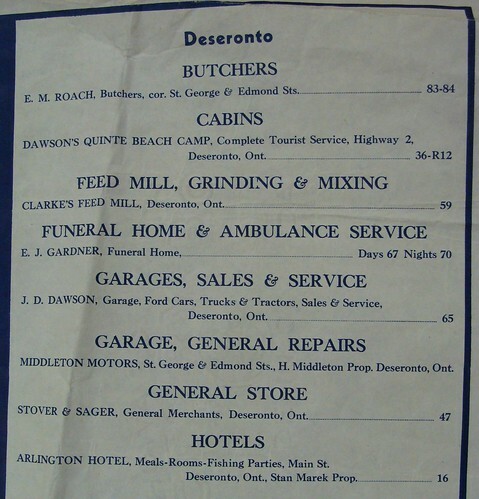 We’ve made all the Deseronto site brochures available here for you to look at. Just click on the images below to get a large version that you can print off or read online. 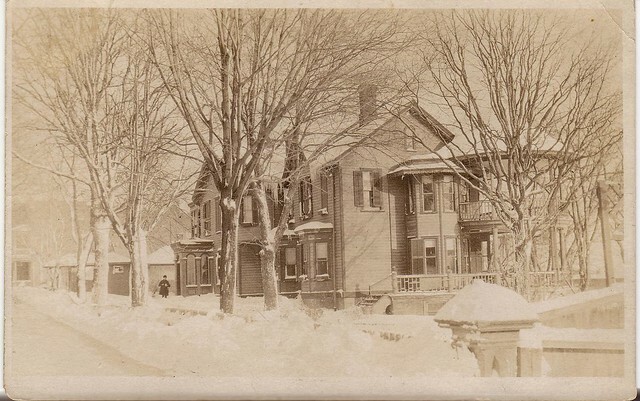 As regular readers of this blog will know, the Archives has been gradually digitizing its photographic collection over recent years and putting them online through the Flickr photo-sharing website. This week, we passed a significant milestone, with over 100,000 online views of those photographs. The collage at the top of this post is a compilation of the ten most popular photographs on Flickr, which between them have been viewed over 3,500 times. 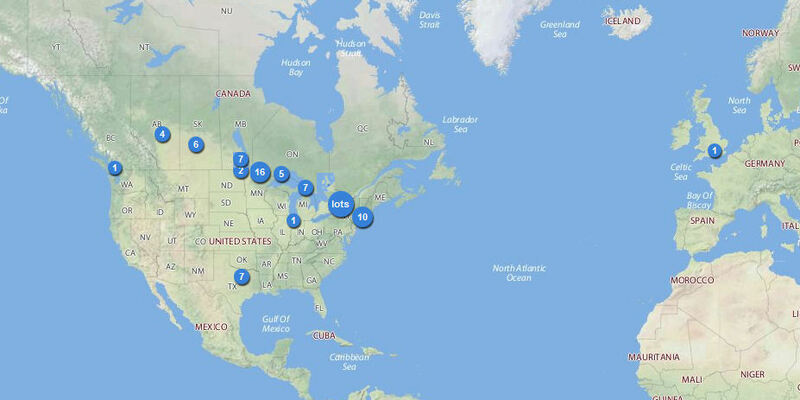 It’s also interesting to see the geographical spread of the Archives’ photographs: the image below shows how far across the globe the subject matter of our photographs is scattered. 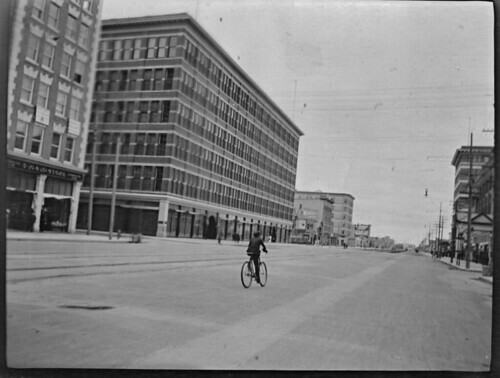 The ‘most interesting’ photograph (by Flickr’s measure) is one of these far-flung ones – a picture of the Eaton’s store in a very quiet Portage Avenue in Winnipeg, Manitoba, taken in 1907 by Harold McMurrich Rathbun. 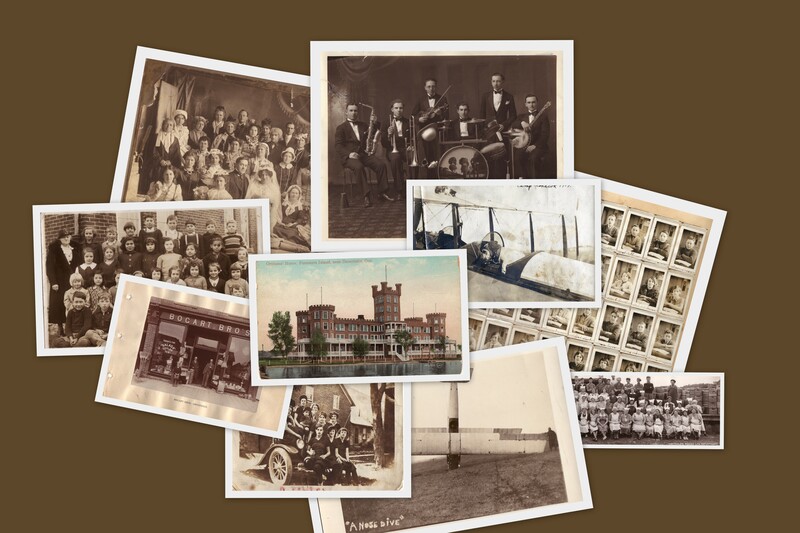 Four years ago, the only way of seeing most of these photographs was by coming to visit Deseronto Archives in person. Some of them belong to individuals and were not available to public view at all. We’re delighted that they are now accessible to a much larger public. Ed Roach’s butcher shop is fondly remembered by many local people. One of our oral history interviewees remarked that Ed always promised that his meat was “as tender as a woman’s heart”. One of the (many) very good things about putting the Archives’ photographs onto Flickr is the ability to place the locations onto a map. 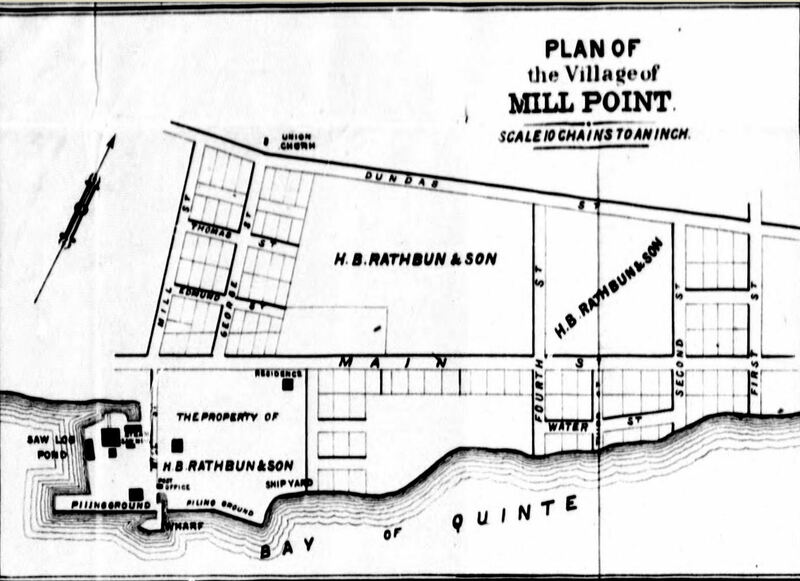 Often the buildings in the photographs no longer exist (this is particularly true of Deseronto’s industrial heritage), but with the help of old maps it is possible to give the sites an approximate location on a map of present-day Deseronto. 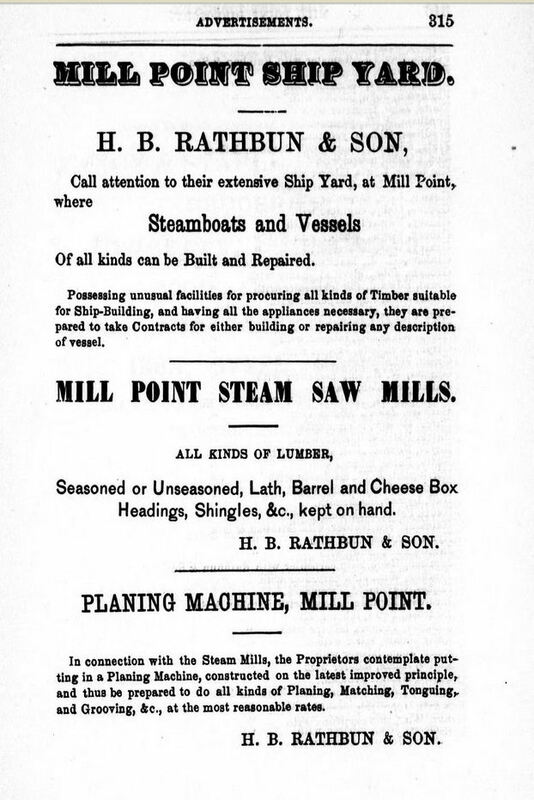 Around a third of the images in the Flickr collection are photographs of buildings or details of plans of the town. 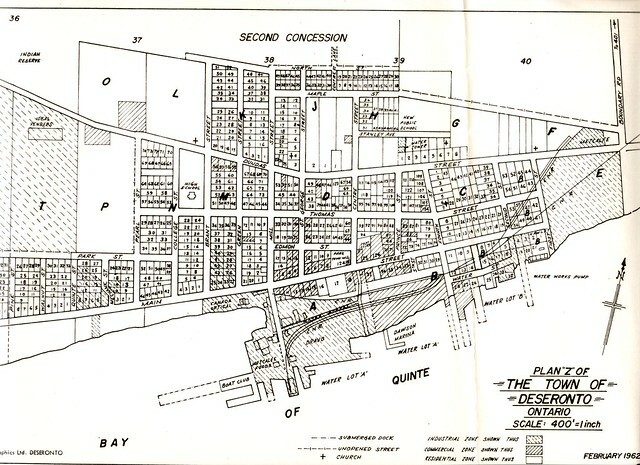 These have all now been added to the map of the Deseronto area that is associated with our Flickr account. The screenshot above gives an impression of the way that this map appears. 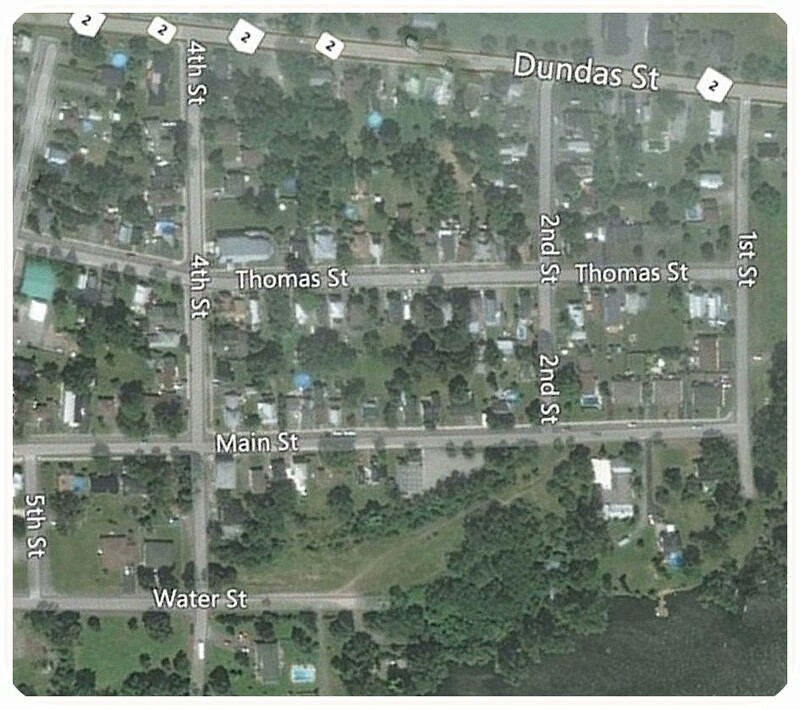 One slightly strange thing about the underlying map software is that it does not show Foresters’ Island, which is situated in the Bay of Quinte just south of Deseronto. 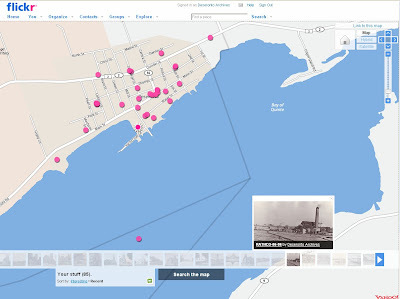 As a consequence, the marker on this map for the orphanage photo we featured the other week appears to be in the middle of the water. It is also possible to search for all the photos that have been associated with the area by all Flickr users, which gives a good selection of more recent views of the town alongside the Archives’ more historic ones.